Durham Cathedral is a place of knowledge and worship, and its incredible architecture has led it to be listed as a UNESCO World Heritage Site. Its reputation also extends to pop culture, as it was featured in the Harry Potter movies as Hogwarts School of Witchcraft and Wizardry. 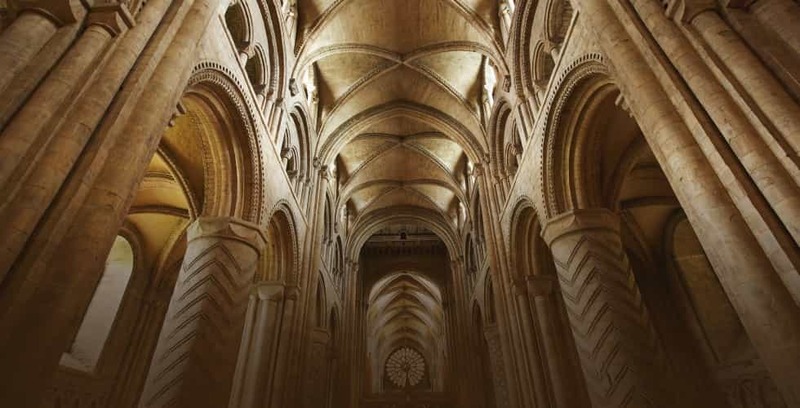 Before we started the project we needed to come to a very important decision by answering this question: which lift was ideal for a building like Durham Cathedral? After all, the Cathedral has an exceptional national architecture and is of historic importance, so special considerations had to be made. We opted for the Traction 400 (Leonardo) lift for this project because of the incredible range of benefits it offers. The Cathedral can be accessed via ramps outside, and the goal was for the lift to also provide easy access inside the building. So the modern Leonardo was installed 6m in front of the entrance and will allow access to the Monk’s Dormitory. The lift was installed with tactile markings in its controls, which are within easy reach for wheelchair users, meaning that it would be fully compliant according to the specifications of the Disability Discrimination Act. We had to preserve the original structure and design of the building, so when it came down to deciding on a lift, we knew how important it was to choose the right one. 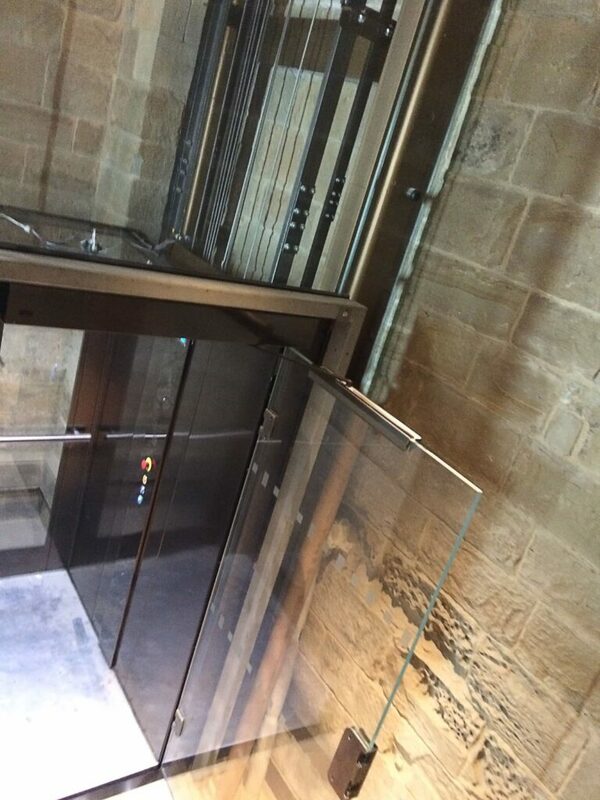 The lift had to be able to be tailored to the building’s needs, in order to meet the proper regulations associated with listed buildings. 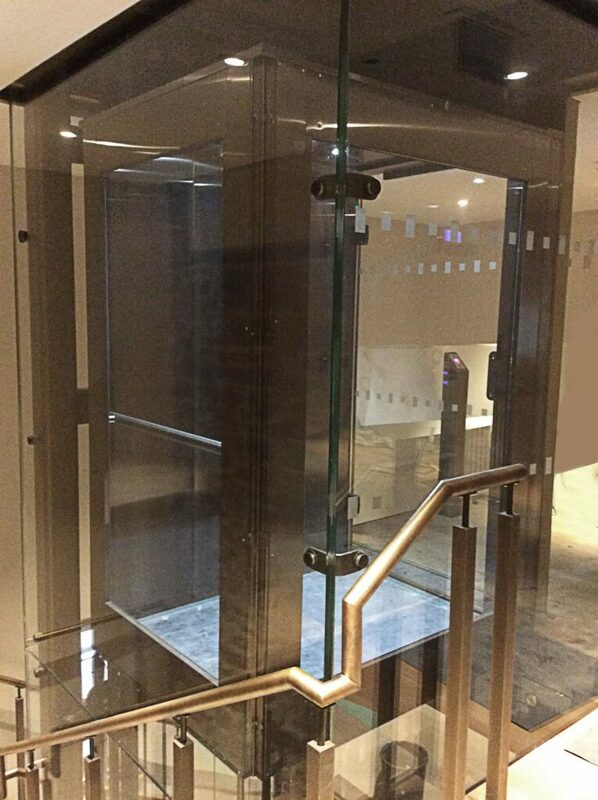 Since the lift couldn’t greatly disrupt or disturb the architecture, we had to minimise the alterations we had to perform during the installation process. Bearing in mind that a solution which works on one building might not work on another, the Leonardo’s capability to be custom-made specifically for Durham Cathedral, so much so that it was almost invisible against the architecture, was a factor that weighed greatly during the decision-making process. Because Durham Cathedral is a listed building, we had a few things to consider. Mainly, how to ensure the lift would blend seamlessly into the existing look and finish of its surroundings. To overcome this challenge, we chose to add bronze stainless steel to all of the Leonardo’s steel work, to match the overall design of the building. As well as making sure the lift wouldn’t stand out from the rest of the building, we wanted the Cathedral’s impressive architecture to be visible at all times. For this reason, the Traction 400 (Leonardo) was the perfect choice because of its glass enclosure. 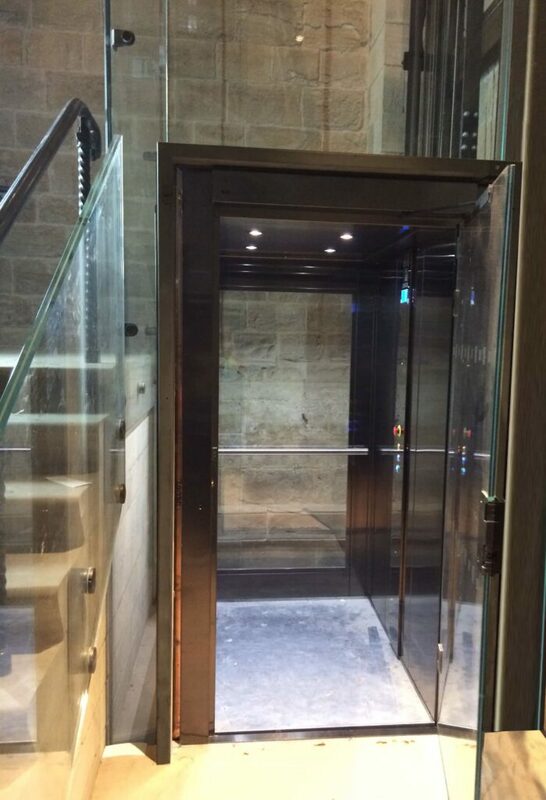 Choosing the Leonardo allowed us to offer a wide range of options, so that Durham Cathedral maintained its impressive Norman architecture – the lift’s bespoke features also allowed us to ensure the best experience for visitors while guaranteeing that the lift blended flawlessly into its surroundings. At Axess2 we can meet the requirements of any building – whether or not they’re listed. We understand that different buildings and projects call for different considerations, and continually work together with our clients towards their structural goal.